I Kall Smart Watch Mobile is a digital watch with multimedia feature that keeps you connected at all times with your smartphone. 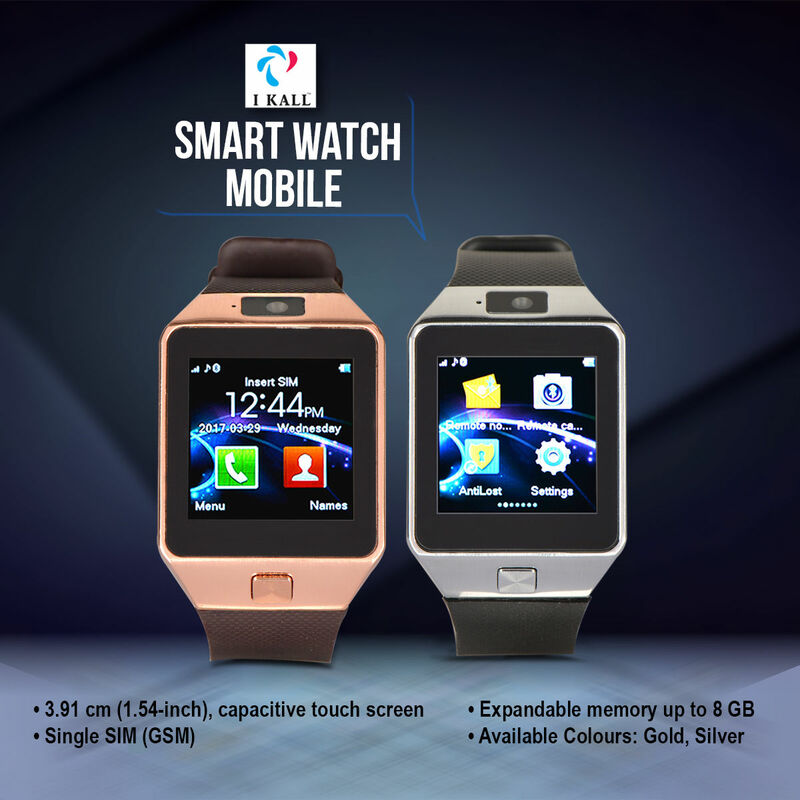 The 3.91 cms Capacitive Touch Screen makes it a perfect display for a Smart Watch. The single Mirco GSM SIM allows you to make and answer calls anywhere, anytime. The Micro SD slot with expandable memory of 32kb- expandable upto 32 GB offers ample space to store all your pictures, songs and videos. 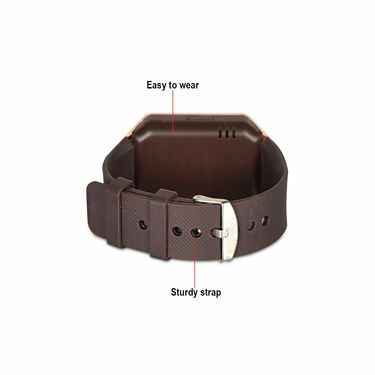 Featured with basic pedometer, sedentary reminder, compass and accelerator sensor, this versatile wearable gadget helps you organize your daily activities efficiently. gifted this watch to my brother ... he really liked it... Thanks Naaptol..
Music sound is also good. 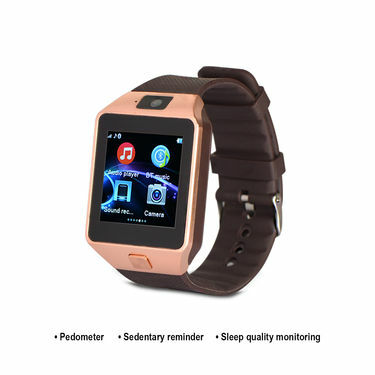 It is the best watch available in this price. Music sound is also good. 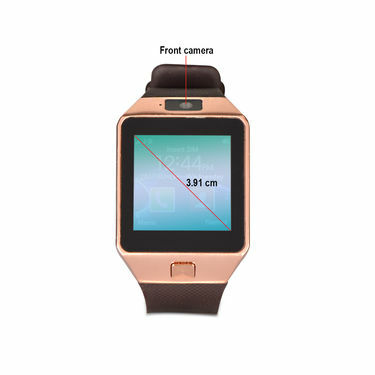 How to access internet in this watch? What is the in-built in this watch? Does it supports 2G, 3G or 4G SIM?